What is San José Like? The term "Pura Vida", or pure life, is a phrase that truly embodies the Costa Rican (Tico) way of living. As a term that Ticos use day in day out, it is a constant feature in both the spoken language and everyday life of Ticos. It basically means that Ticos live their lives to enjoy it. They relax and they enjoy the little things that life gives them while taking full advantage of the beautiful place they live. Ticos are extremely friendly and welcoming people and will do anything to leave a good impression on you. They take this so far that in friendly conversation and interactions they will rarely say no to you. You will find that on the street, if you ask somebody for directions, even if they don't know where to direct you, they will give you directions (even if wrong). This may be difficult for newcomers who don't realize this, and end up getting very lost. On the flip side, enjoy this friendliness and be welcomed into your host family's home, just as though you are a member of the family. Ticos are fairly liberal when it comes to time considerations. It is common to set a meeting time and then be about 15-20 minutes late to it. This is expected, and if you show up on time, that will be seen as more strange than showing up later. It is expected, for example, if somebody tells you to meet them at a restaurant at 8pm, they will, most likely, plan on being there around 8:15pm. It is important to understand that this practice is normal, and not considered rude at all. This practice is generally in decline, as more and more foreigners influence Costa Rica, however, Tico Time lives on still. In school and university environments, Tico Time is not followed. Students show up to class on time or early. Costa Rica is a country that is very multicultural. Although the majority of people are white or mestizo, there is also a sizeable Afro-Caribbean population, European population, Asian population, and North American population. The Caribbean coast of Costa Rica is largely populated by Afro-Caribbeans. This gives the Caribbean region a distinctly different feel from other parts of Costa Rica. 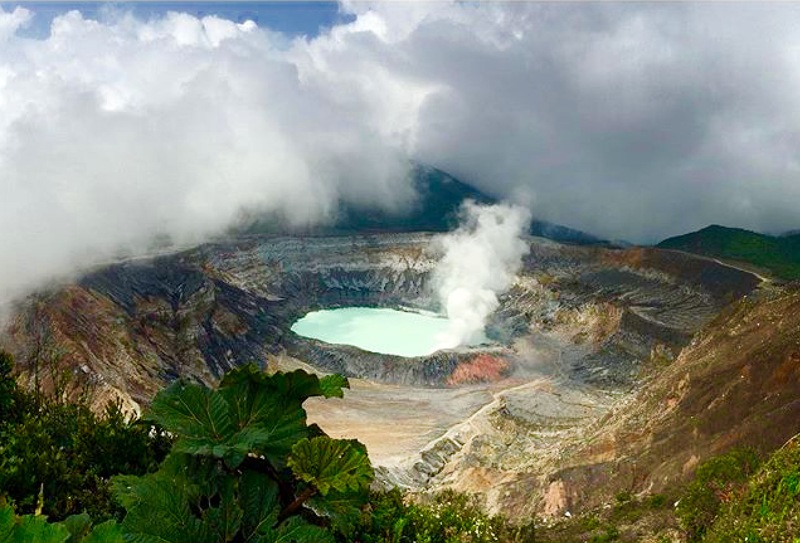 European and North Americans, in the past 20 years, have purchased a lot of land along the coast and English is now a widely used language, both spoken and on signage, throughout Costa Rica. Approximately 80% of Costa Rica's coastal land is owned by foreigners. Other forms of immigration have brought people from all over the world to San José for work opportunities. By and large, Costa Ricans have welcomed the influx of foreigners into the country, however, xenophobia and racism still are present. Recently, Nicaraguan immigration has been blamed for various problems in Costa Rica, although these claims are not backed up by any facts. In Costa Rica, the family is the center of all cultural and social life. Ticos value family above all else and extended families tend to live very close together and see each other at least once a week. It is very common in Costa Rica to have children, in their late 20's and early 30's, living at home. As with most Latin American countries, fútbol is a very important element of life. Every town in Costa Rica, even small villages, have a soccer field which is many times the centerpiece of the town. There is a national fútbol league which Ticos follow very closely. In Heredia, you can watch the city's fútbol team, Club Sport Herediano, take on their big rivals. Every Costa Rican has their team that they follow with pride and intensity. Despite this, all Costa Ricans come together to cheer on the Costa Rica National Squad (La Sele) in international matches. Costa Rica is not a vehemently religious country, unlike a lot of Latin American countries. Almost 75% of the population is Catholic, however, the majority of people attend church only on holidays or other important days. All across Costa Rica, however, you will see a deep respect for religion along with many beautiful and well-kept churches that Ticos are very proud of. Along with family, food is the other key to all social gatherings. Any time you visit somebody expect to be offered a snack or meal of some sort. Costa Rican food is generally not very spicy and is pretty basic. Ticos absolutely love their Gallo Pinto (Rice and Beans) and this staple is eaten at just about every meal. For breakfast, you can expect gallo pinto, eggs, cheese, fruit, and coffee. Lunch tends to be the heavier meal of the day, with heartier food, while dinner you can expect to eat a variety of foods including spaghetti, sandwiches, pizza, or leftovers from lunch. Costa Ricans enjoy a sauce called Lizano with just about everything. Salsa Lizano can be found at every table and is a sweet and tangy sauce that is a great addition to any meal.